The 134 selected poems in this volume include fifty published for the first time. Wharton’s poetry is arranged thematically, offering context as the poems explore new facets of her literary ability and character. These works illuminate a richer, sometimes darker side of Wharton. Her subjects range from the public and political—her first published poem was about a boy who hanged himself in jail—to intimate lyric poems expressing heartbreak, loss, and mortality. She wrote frequently about works of art and historical figures and places, and some of her most striking work explores the origins of creativity itself. 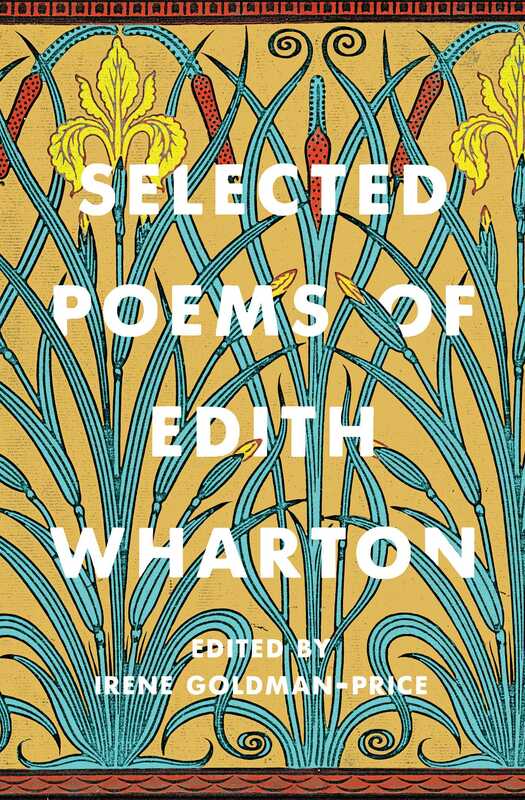 These selected poems showcase Wharton’s vivid imagination and her personal experience. Relatively overlooked until now, her poetry and its importance in her life provide an enlightening lens through which to view one of the finest writers of the twentieth century. Dr. Irene Goldman-Price earned her PhD in English from Boston University and spent much of her career teaching English and Women's Studies at Ball State University in Indiana. She is the co-editor of American Literary Mentors and editor of My Dear Governess: The Letters of Edith Wharton to Anna Bahlmann, for which she earned fellowships from the Beinecke Library at Yale University and the Edith Wharton Society. She has served on the editorial board of the Edith Wharton Review; as a trustee at The Mount, Edith Wharton’s house museum in Lenox, Massachusetts; and is a frequent public speaker on various aspects of Wharton's life and work. She is married to fellow Wharton scholar Alan Price.